Home » News » The Naturospace in Honfleur is the place to be during easter and the long weekends of may! Exotic flowers in Honfleur, newly born birds and koi carps, butterflies fluttering in every direction... The holidays and long weekends will be colourful at the Naturospace. New features await you in every direction at the Naturospace in Honfleur! The months of April and May are especially conducive to taking an unforgettable trip to the Amazon rainforest established in Normandy. During the spring period, the glasshouse's birth column is full of announcements: -Small koi carps with shiny and colourful scales are wriggling about in our ornamental lakes, to the greatest delight of our young visitors who can feed them; you just need to pop by our shop to do so. 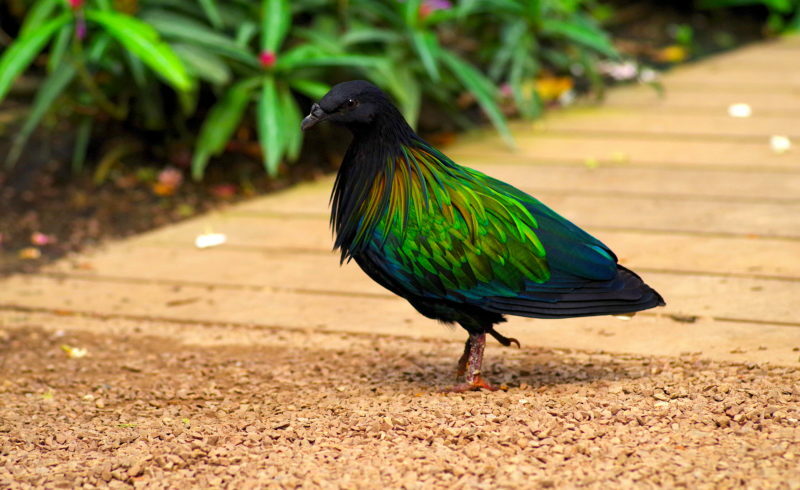 – As for our exotic birds, higher up amid the trees, four Nicobar pigeons have emerged from the nest. The holidays are the ideal opportunity to witness their first flights. It is up to you to spot them: our young lodgers can be recognised by their small size as well as their orange, green and blue colours which are not as vivid as their parents'. There has also been a lot of activity within the Java finch family, with eggs being spotted in one of the glasshouse nests. During the long weekends of May, more birds will fly with their own blue and grey wings. Our Bromeliads are in full bloom... in Honfleur! Do not forget to grab a map of the glasshouse! The complimentary butterfly house map we have the pleasure of treating families to is a success; of course lots of interesting information is mentioned and aimed at children, who do not hesitate to return to our reception team to ask for one for each of them. A great souvenir to take back home with you! Amid our recreated jungle, you will be able to witness the blossoming of our black pepper tree round the corner of our pathway. You cannot sample it, that way you will be not get overcome by its fieriness! Our green papaya has also grown a great deal and the fruit it bears is impressive. 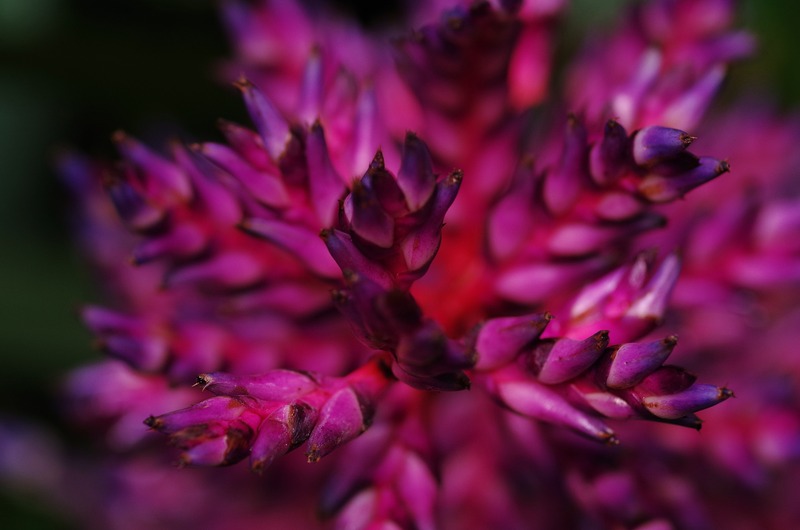 Colourful flowers have not been outdone as our lilies and orchids are also astoundingly beautiful. 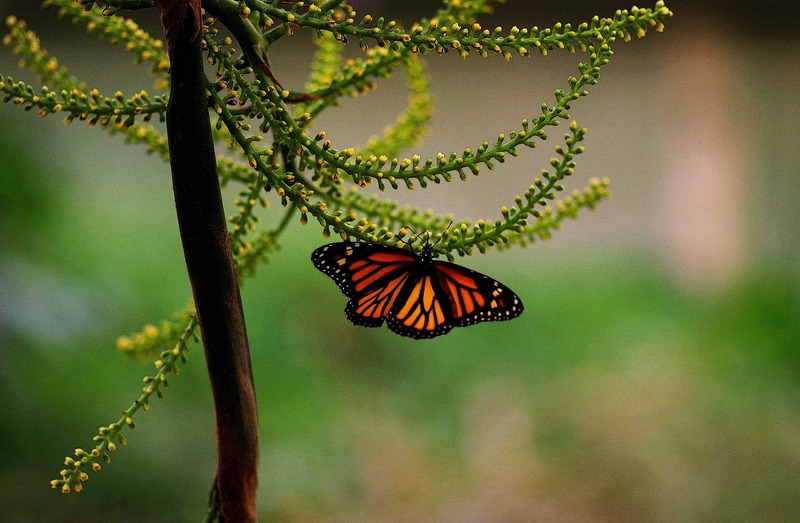 A beautiful monarch butterfly spotted inside our Normandy glasshouse. These are just as many ideal conditions to come and see our butterfly friends fly all around our tropical glasshouse, going so far as to even rest on the shoulders of children and grown-ups alike. Admire our rare species roaming around freely or gathering nectar from inside the flowers and sucking on the sugar we leave at their disposal. The spring light highlights their beauty and lightness even more significantly. Plenty of reasons to get you to come over to Honfleur in Normandy during your Easter holidays or long weekends of May! Butterflies, turacos, vanilla… a magical summer awaits you at the Naturospace in Honfleur! The Naturospace in Honfleur is where it is all happening come the Christmas holidays!